My latest mandala is an illustrated mandala with an overlay texture on a purple, navy, and pink background. Shown above on the form fitting skirt and below on a trio of zippered pouches. Both items can be purchased in my RedBubble shop. All of my previously published illustrated mandalas have leaned to the light side - either pastels or lighter colors - so I wanted to try something a bit different with this one. 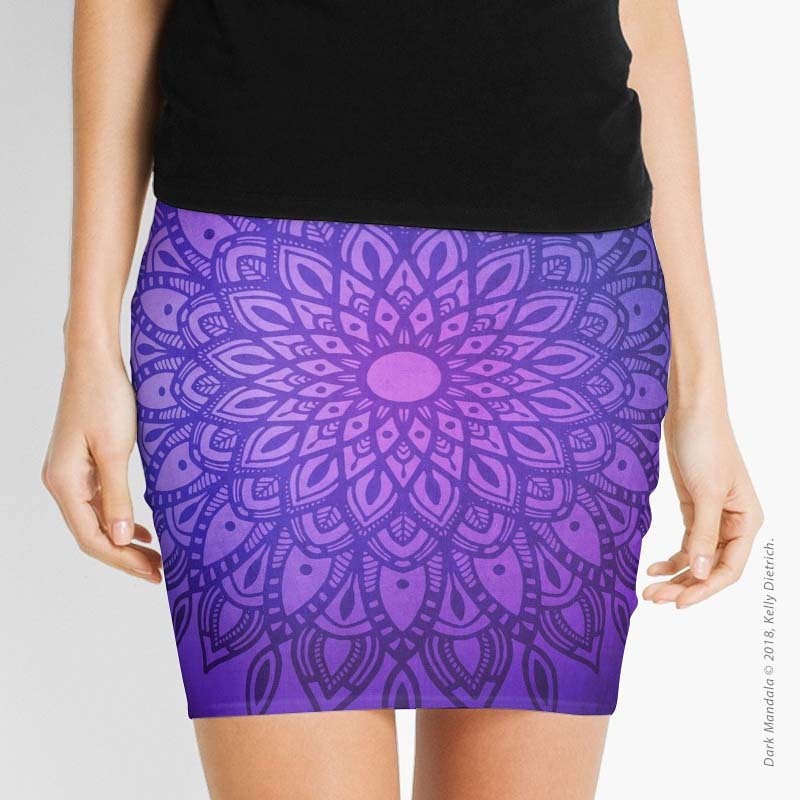 But, I didn't venture too far from my comfort zone by using the most common color found in my mandalas- purple! I've commented time and again in the past that I'm really not a "purple person", but it's definitely my favorite color when it comes to making mandalas! 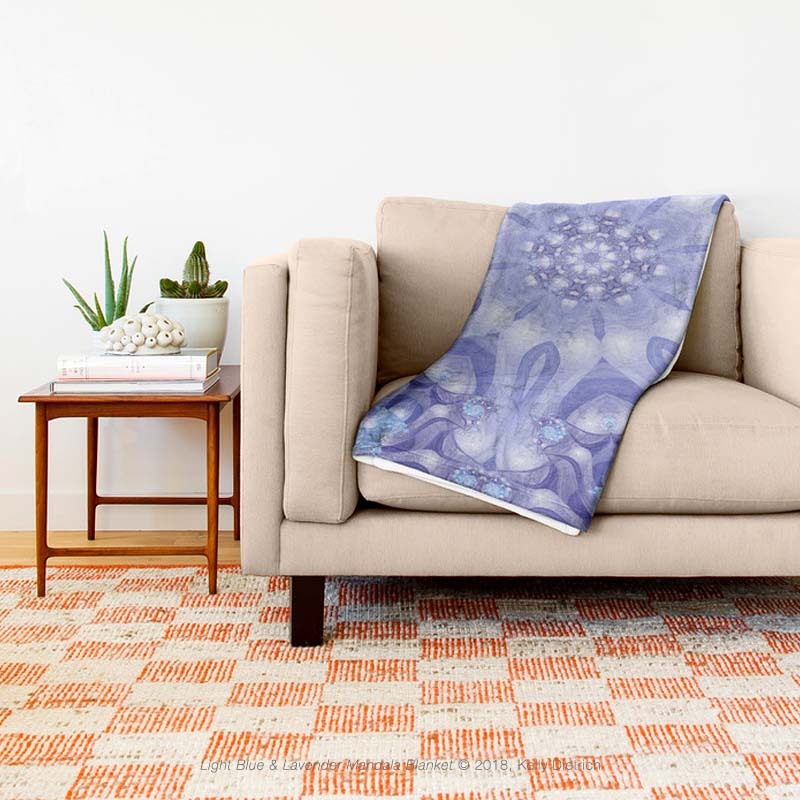 Now, here's a look at some of the other products you can find with this mandala design! 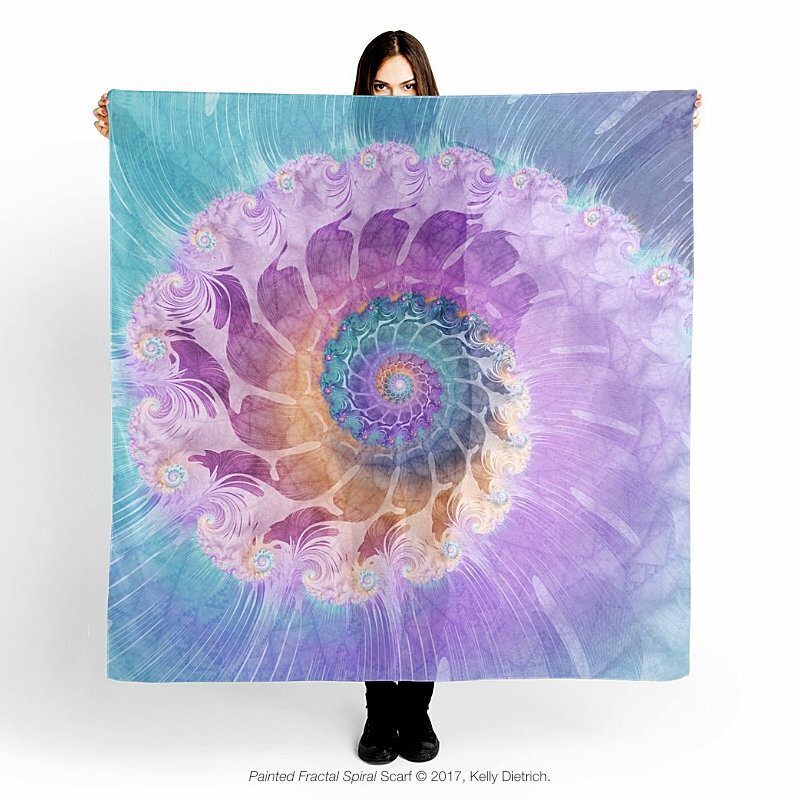 Be sure to check back next week to see my latest mandala designs in the spotlight!